“After death and divorce, moving house is the third most stressful life event,” so goes the cliché. With a little help, your move doesn’t have to be a source of stress and worry, but it’s important to be informed. Before anything else, know the differences between the terms “moving,” “shipping,” and “relocation.” Chad Forrest, general manager of Asian Express International Movers, says think about moving as one part of the relocation process. “The traditional components of relocation are moving, the home search, visa, immigration, and cross-cultural training. A moving company focuses on the moving aspects. A relocation company will engage in all separate components in one way or another,” he explains. In your search for the right company and services, remember to get several quotes, make sure communication is clear (even if you have an interpreter), and plan ahead whenever possible. Very little is negotiable in the relocation business, so knowing exactly what you want up front makes the process move more smoothly. Most moving companies have a logistics division that moves products rather than household goods or a general cargo division that focuses on large projects and transporting machinery. Relocation management companies (RMCs) outsource different stages of the relocation process and are the single point of contact for a client. They might contract with one company to oversee global relocation, another for immigration, and yet another for cross-cultural training. Shipping is part of the international moving process in which personal belongings and household goods are transported by either the generally slower but cheaper sea freight or quicker but more expensive air freight to the destination country. If you are engaging the services of a relocation or moving company, one of the most important parts of the process is the visual survey. Before the survey, cull as much as possible by donating or selling anything you do not need to save considerable time and money. Keep in mind that the survey is by definition an estimate; this is why it is important to get several quotes. “If two moving companies have estimated a similar volume and the third is way out, then you pretty much have the answer to your question,” says Forrest. The best thing families can do to save money is to get the process started and get estimates as early as possible. During less busy times of the year, contacting the moving company at least two months in advance is optimal. If you have the flexibility to choose when to move, you are more likely to get a good deal if you relocate during off-peak months in the fall or early spring and winter rather than June or July. Also consider cutting down unnecessary daily expenses and making a moving budget several months before the intended relocation date to prepare for unforeseen costs. Watch out for hidden fees, especially if you are planning the move yourself. Each stage in the relocation process carries its own costs, so be sure to clarify exactly which services and conditions are included in a quote: door to door, door to port, port to port, air versus sea freight, among others. Susie Hetherington, a teacher in Beijing, has had a bad experience in importing shipments. “No one informed us that China taxes all items for the [second shipment into]China, [and that]cost us USD 6,000,” she said. Another expat mother, who refused to be named, shared that her family ended up paying RMB 30,000 in taxes. The reason? Their shipment was named under her (she’s on a dependent visa) instead of her husband (who has a working visa). In these situations, Asian Tigers Mobility advices expats to prepare all necessary documents and ask the shipping company about further requirements and taxes. “Full duties and taxes on every single item are applicable if the expat does not have their Chinese work and residence permit available. The moving company can change the shipper’s name [to the one with these permits]. However, this has to be done before customs clearance takes place and may result in a delay with the shipment. These documents have to be valid up to 365 days and issued from Beijing,” says Wilson Fan, Beijing manager of Moving Services unit of Asian Tigers. He stresses that if an expat is importing a second shipment into China, just like Hetherington did, everything in that shipment is subject to additional duties and taxes. “The [added]duty and taxes should be a result of improper import documents.” Fan instructs clients to choose a moving company not on price alone, but also consider the quality of service. In that way, he says bad experiences relocating can be avoided. * For full details on services offered, contact the listed moving, shipping, and relocation companies directly. See more details and discussions about relocating here. 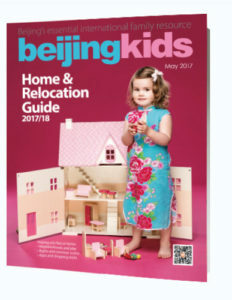 This article originally appeared on p 60-61 of beijingkids May 2017 Home & Relocation Guide. 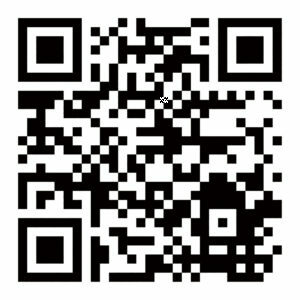 Download the digital copy here.